About 50 voice actors have participated in this week’s VOAToday.com question: Away from your home studio, what is the minimum of equipment you take with you in case a recording/audition is needed? Some have given long answers, some short…others provided a picture along with their “VOAT”. Regardless, this is the essence of VOAToday: the free sharing of information — not necessarily giving away any trade secrets — but providing a snapshot of the industry right now; an industry that can be shrouded in individualism and isolation by nature. I’ll be choosing winners from the prize package (seen below) at precisely noon Friday, September 14, 2012 PST. I’ll post those winning names here and on the VOAToday.com site. Note: this week, there are actually TWO 1st-place prize winners, male and female. 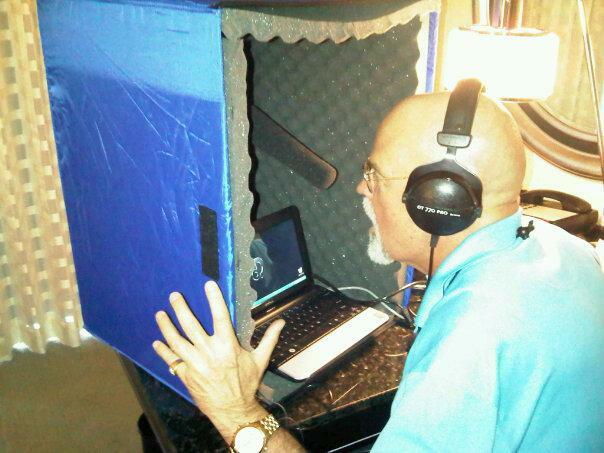 BTW, the above picture is Doug de Nance shown with his portable booth. Thanks for the shot, Doug!